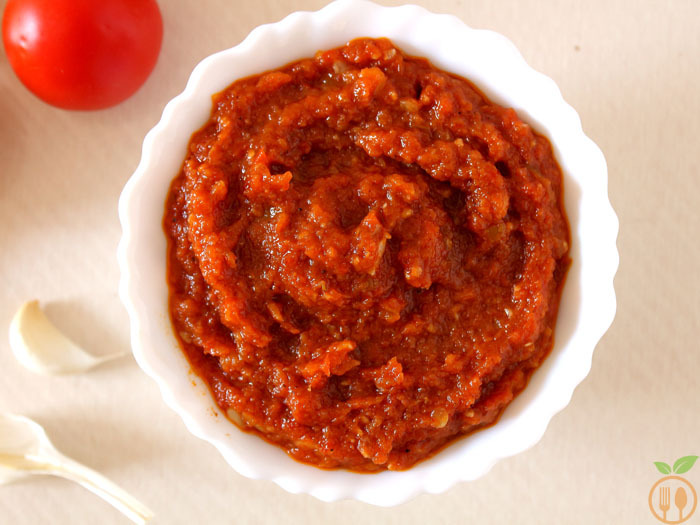 This Indian basic onion tomato gravy is easiest but super tasty gravy with just 10 ingredients contains 5 vegetables + 5 spices. This traditional Indian style onion tomato gravy can be used as base for all types of vegetables or tofu (paneer) and its referred as curry or subji. Indian gravy or curry is always full of lots of spices and varieties of methods to create different versions of gravy for any curry base. India itself is diverse in its culture, its climate, its geography and so is its FOOD. There is saying in India that “Language changes after every 12 villages” so as food :). As per population of India you can imagine how many cuisines and varieties of food you can find. I am always impressed by punjabi food with lots of spices, ghee and fully loaded with flavor. There is no one in India, who don’t like punjabi food. It’s stuffed bread, naan and aromatic curry always drag me to restaurant once in a month. I also make those kind of food at home, but sometimes imbalance of spices spoil the taste of curry. But this standard basic onion tomato gravy recipe will never disappoint me and I am 100% sure it will not disappoint you too. And you will surely say that it is a never failing recipe. will give you very fundamental but an awesome dish. And you don’t have to bother about balancing typical spices (like pepper, cardamom, cinnamon, cloves, bayleaf etc). I have made appetizing chole recipe (chickpea curry) using this gravy, and you know best part of it, it took just 10 minutes to cook. Heat the oil, take 2-3 tbsp gravy, add half cup water, simmer for 5 minutes, then add chickpeas and simmer for another 5 minutes just balance the salt accordingly. No need to add more spices. Isn’t it so simple??? You can use this gravy with paneer based curry. You can add this gravy into boiled vegetables, and you will get mixed vegetable curry. And you know this curry will go best with baby potatoes. Dum-aloo or boiled baby potatoes in this gravy is fantastic dish. The quantity of ingredients will make gravy for serving 6 people. So, if you want to make it for more you can double the quantity, and store rest of it. I have used green chili and red chili powder in this gravy. Red chili powder is for color of gravy. you can avoid it if you don’t like more spicy. or you can replace it with cumin powder. It also taste good. This is my basic version of onion – tomato gravy. It’s not the same as makhani gravy. There are different brands (Everest, kitchen king, MDH, Badshah, ramdev etc) of garam masala powder available in market. I have used “Everest” Garam Masala in this gravy. So taste may change if you use different brand of garam masala powder. In a pan, heat the oil and add onion paste first. Cook it for 1-2 minutes and add garlic paste, ginger paste, green chili paste. Cook till onion gets golden and oil gets separate out. Then add tomato puree, salt to taste and sugar into it. cover the pan with lid and cook for at least 10 minutes on medium flame till all moisture evaporate and gravy is becomes thick and almost half in quantity. At last add red chili powder and GARAM MASALA, stir well and cook until oil gets separated from gravy. It may take 5 minutes. Then gravy is ready for use. let it cool down at room temperature and store in air-tight container in fridge for 15 days. Heat the oil into pan, add 2 tbsp of gravy we have made, and half cup of water. Let it simmer for 5 minutes. now add boiled chickpea and salt to taste. Let it cook for another 5 minutes. And curry is ready to serve. you can garnish it with coriander leaves. Serve with naan or paratha or rice. 1) You can store it in air-tight container in fridge for 15 days. 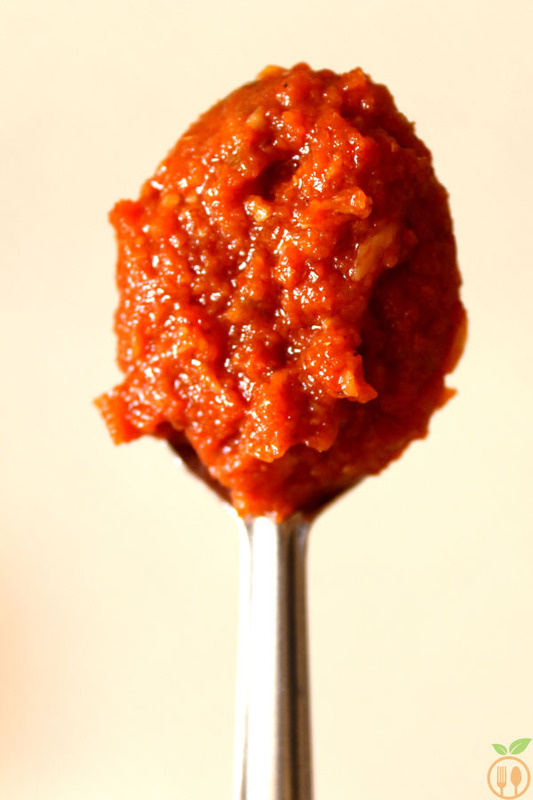 2) You can create any Indian curry with this gravy or paste. 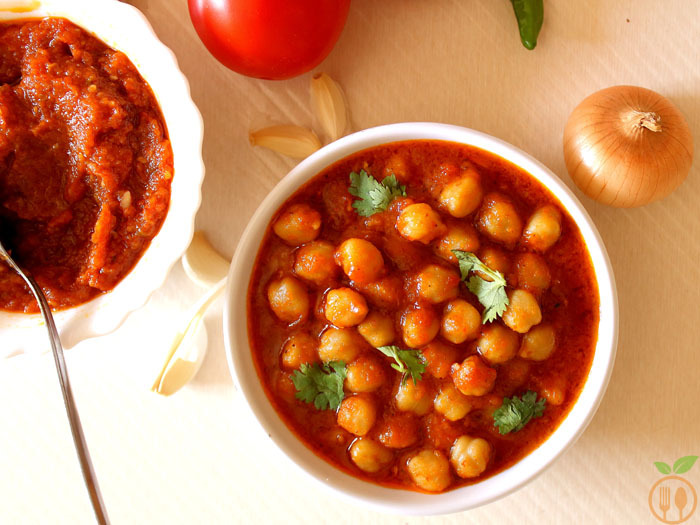 3) It goes best with chickpea curry and dum-aloo recipe. 4) You can also use it fried rice recipe. 5) As a pizza base sauce it also tastes good if you like tandoori pizza or Indian style pizza. 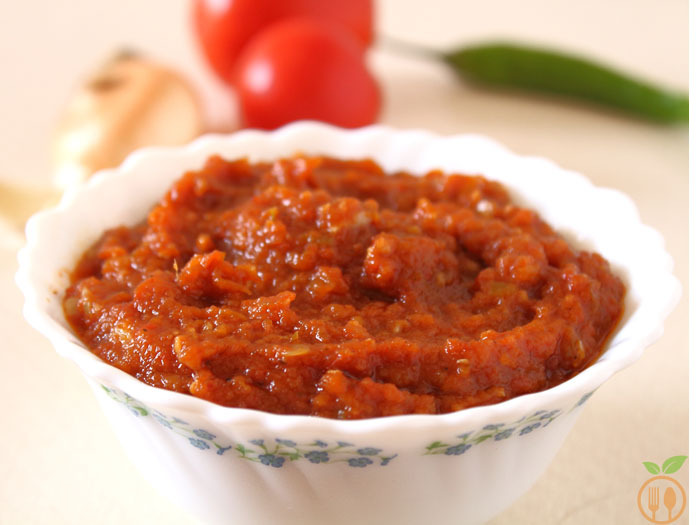 So friends, try at home this basic onion tomato gravy and create innovative dish from it.